What is the FYI app? 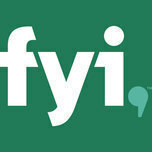 What devices does the FYI app work on? Where can I get the FYI app?